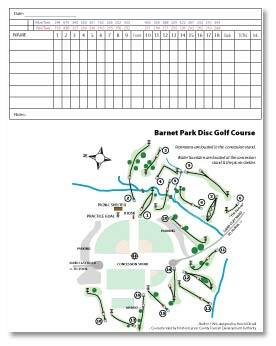 Download a scorecard and course map to use on your next visit. The scorecard is provided as a PDF file suitable for printing. This card and map are accurate as of 7/03/2008, and reflect recent changes to the course layout. Please send any comments, suggestions and requests to info@kinstondiscgolf.com.